PASADENA, Calif. -- NASA's versatile Mars Reconnaissance Orbiter, which began orbiting Mars five years ago tomorrow, March 10, has radically expanded our knowledge of the Red Planet and is now working overtime. The mission has provided copious information about ancient environments, ice-age-scale climate cycles and present-day changes on Mars. The orbiter observes Mars' surface, subsurface and atmosphere in unprecedented detail. The spacecraft's large solar panels and dish antenna have enabled it to transmit more data to Earth -- 131 terabits and counting, including more than 70,000 images -- than all other interplanetary missions combined. Yet many things had to go well for the mission to achieve these milestones. After a seven-month journey from Earth, the spacecraft fired its six main engines for nearly 27 minutes as it approached Mars on March 10, 2006. Mars could not capture it into orbit without this critically timed maneuver to slow the spacecraft. The orbiter's intended path took it behind Mars, out of communication, during most of the engine burn. "That was tense, waiting until the spacecraft came back out from behind Mars and we had contact," recalled Dan Johnston, now the mission's deputy project manager at NASA's Jet Propulsion Laboratory, Pasadena, Calif. 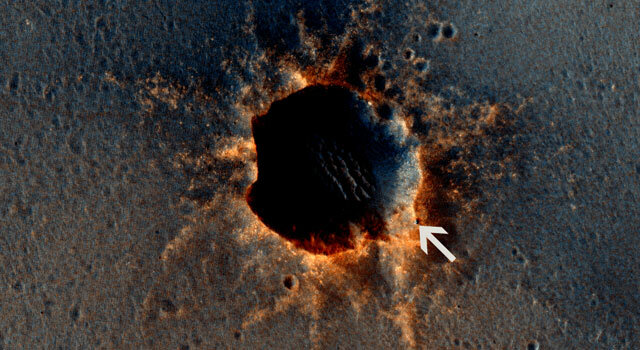 The mission has illuminated three very different periods of Mars history. Its observations of the heavily cratered terrains of Mars, the oldest on the planet, show that different types of ancient watery environments formed water-related minerals. Some of these would have been more favorable for life than others. In more recent times, water appears to have cycled as a gas between polar ice deposits and lower-latitude deposits of ice and snow. 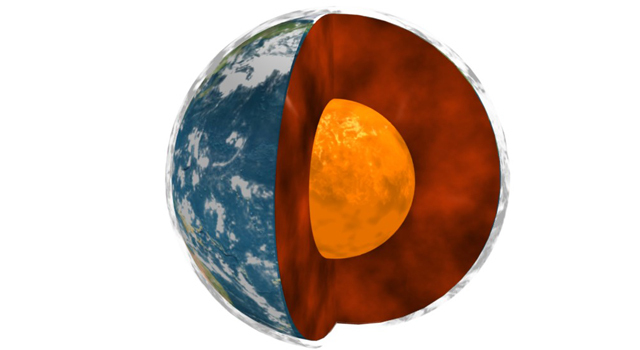 Extensive layering in ice or rock probably took hundreds of thousands to millions of years to form and, like ice ages on Earth, is linked to cyclic changes in the tilt of the planet's rotation axis and the changing intensity of sunlight near the poles. The present climate is also dynamic, with volatile carbon dioxide and, just possibly, summertime liquid water modifying gullies and forming new streaks. With observations of new craters, avalanches and dust storms, the orbiter has shown a partially frozen world, but not frozen in time, as change continues today. In addition to its science observations, the mission provides support for other spacecraft as they land and operate on the surface. 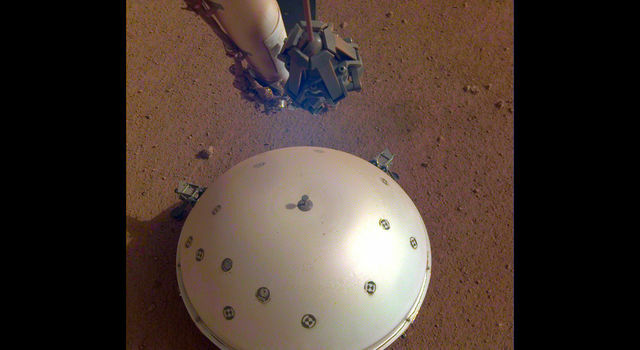 The orbiter's cameras captured the Phoenix Mars Lander as it parachuted to the surface in 2008 and monitored the atmosphere for dust storms that would affect Phoenix and the Mars Exploration Rovers Spirit and Opportunity. The Mars Reconnaissance Orbiter augmented NASA's Mars Odyssey in performing relay functions for these missions. JPL's Phil Varghese, project manager for the Mars Reconnaissance Orbiter, said, "The spacecraft is still in excellent health. After five years at Mars, it continues with dual capabilities for conducting science observations, monitoring the Mars environment and serving as a relay." The orbiter has examined potential landing sites for NASA's Mars Science Laboratory mission, which will land a rover named Curiosity at one of those sites in August 2012. "We are preparing to support the arrival of the Mars Science Laboratory and the rover's surface operations," Varghese said. "In the meantime, we will extend the science observations into a third Martian year." One Mars year lasts nearly two Earth years. The orbiter's Mars Color Imager has produced more than four Earth years of daily global weather maps. 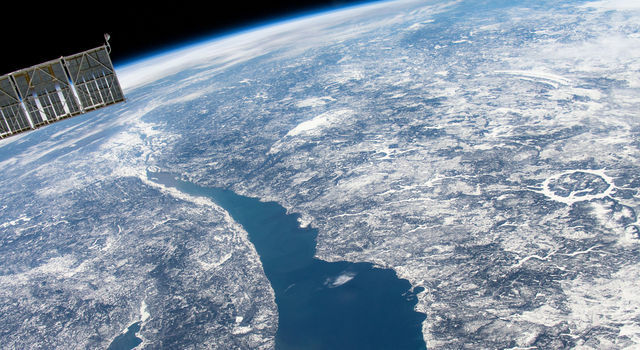 More than 18,500 images from the High Resolution Imaging Science Experiment camera have resolved features as small as a desk in target areas scattered around the planet that, combined, cover about as much ground as Alaska. More than 36,900 images from the Context Camera cover nearly two-thirds of the surface of Mars at a resolution that allows detection of features the size of large buildings. The Compact Reconnaissance Spectrometer for Mars has mapped minerals on more than three-fourths of the planet's surface. The Mars Climate Sounder has monitored atmospheric temperature and aerosols with more than 59 million soundings. The Shallow Radar has checked for underground layers in more than 8,600 swaths of ground-penetrating observations. "Each Mars year is unique, and additional coverage gives us a better chance to understand the nature of changes in the atmosphere and on the surface," said JPL's Rich Zurek, project scientist for the Mars Reconnaissance Orbiter. "We have already learned that Mars is a more dynamic and diverse planet than what we knew five years ago. We continue to see new things." 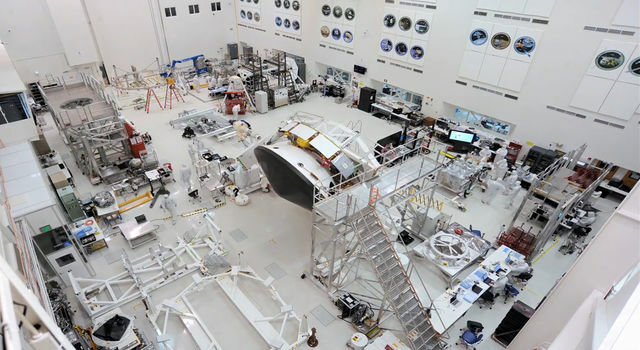 JPL, a division of the California Institute of Technology in Pasadena, manages the Mars Reconnaissance Orbiter for NASA's Science Mission Directorate in Washington. Lockheed Martin Space Systems, Denver, built the orbiter and partners with JPL in spacecraft operations. For more about the Mars Reconnaissance Orbiter, visit http://www.nasa.gov/mro .